A failure to maintain lane ticket is given for failing to stay within the current lane until it is safe to switch lanes. A failure to maintain lane ticket is often given when an accident has been caused by the at fault driver switching lanes and colliding with the other vehicle. A failure to maintain lane citation will then be issued to the at fault driver. Atlanta Traffic Ticket Lawyer Sean Goldstein represents Georgia drivers and helps them fight failure to maintain lane tickets issued in metro Atlanta. No points, no court, no problem! 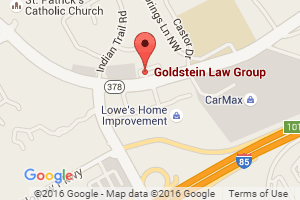 Atlanta Traffic Ticket Lawyer Sean Goldstein knows how to fight your failure to maintain lane violations by getting your traffic ticket reduced or dismissed. Only by getting the ticket reduced or dismissed can you stop a rise in your case insurance rates and save yourself hundreds or thousands of dollars. The number one way to ensure your failure to maintain citation gets reduced or dismissed is by hiring Atlanta Ticket Lawyer Sean Goldstein. With an experienced traffic ticket attorney representing you, the prosecutor knows that you mean business and that you will fight unless your traffic citation is reduced or dismissed. If you’ve gotten a failure to maintain lane citation or any other traffic ticket in Atlanta, or anywhere in the State of Georgia including Gwinnett County, Dekalb County, Fulton County, Cobb County, or Douglas County, or in the cities of Atlanta, Alpharetta, Brookhaven, Chamblee, Doraville, Douglasville, Dunwoody, Duluth, Johns Creek, Lawrenceville, Marietta, Norcross, Roswell, Sandy Springs, or Suwanee, call us at (678) 757-5529 for a free consultation or Contact Goldstein Law Group online.